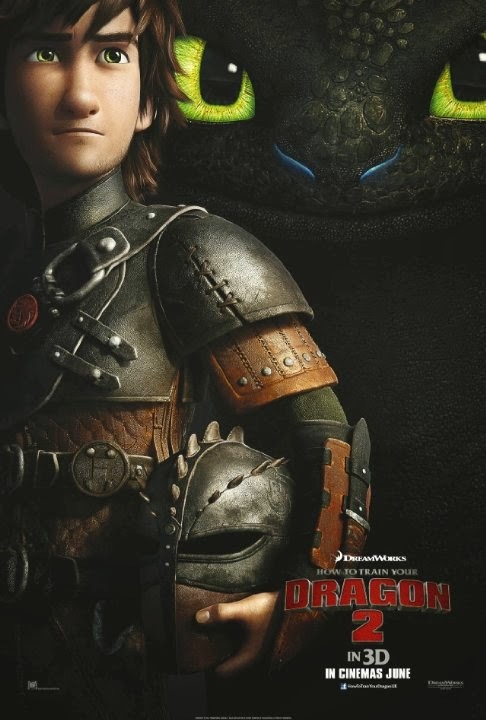 When the original How To Train Your Dragon hit cinemas, it arrived to little fanfare. Dreamworks Animation is not a brand that comes with the same guarantee of quality as Pixar, and for every Kung Fu Panda, there's a Shark Tale (and three Madagascars). The fact that it hit it quite so far out of the park was therefore a doubly pleasant surprise. With it's exhilarating flight sequences, touching central relationship and fantastic score, it's arguably Dreamworks' greatest flick to date. It was a Box-office smash, so a sequel was a cert, but some fans were apprehensive. Could the sequel hope to recapture the magic? When the first teaser hit though, many of these concerns melted away. Showing an older Hiccup taking flight once again with Toothless, the teaser was very much in the spirit of the first film. Now Dreamworks have released the first full-length trailer for the sequel- and it's every bit as wonderful as you could hope. How To Train Your Dragon 2 is directed by Dean DeBlois (co-director/writer of the original) and again stars Jay Baruchel, Kristen Wiig and Craig Ferguson. It will be released on 13th June in North America, with the UK released following on the 4th Of July.